Harira, traditional soup "chebbakia" and dates to Havas M'charmel Lfoul Moroccan sauce "chermoula"
Please note: The discount will vary according to schedule, the number of guests and menu chosen. 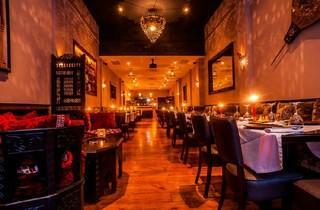 Some menus listed above are only available to book at certain times. All prices are per person. La Mamounia is brutally charming with its Moroccan magic and sensuality. The soft lighting, earth tones and relaxed atmosphere add to a completely different culinary experience full of faraway taste sensations that throw your imagination into gear. 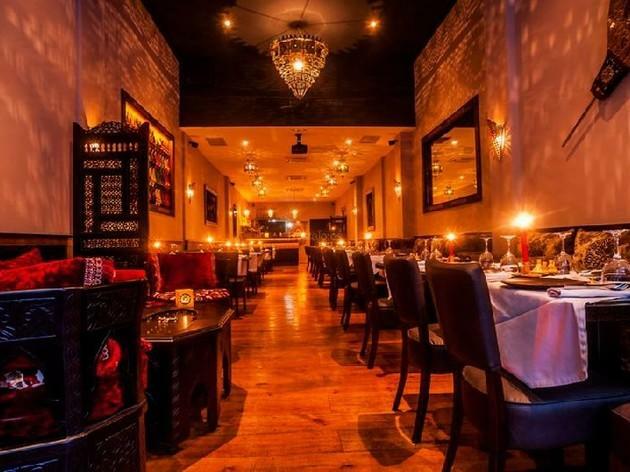 They've got a never-ending variety of Moroccan specialities – the cous-cous and the lamb with prunes are winning dishes on a menu that's defined by high-quality products and careful preparation in one of the best Moroccan restaurants in town. It's an inexpensive trip for your taste buds to Rabat without leaving the Eixample.